A rendering of the North East Link road project in Victoria, Australia. Credit: ©North East Link Project Authority. The state government of Victoria in Australia has launched the public consultation on the North East Link road’s environment effects statement (EES). This road project will link the Eastern Freeway with the M80 Ring Road. People can submit their views on EES as part of the planning approvals process. Submissions of views will close on 7 June. Hearings are expected to begin in late July. Estimated to cost nearly A$15.8bn ($11.2bn), the 26km-long North East Link toll road project is intended to reduce travel times and help divert more than 15,000 trucks a day off local roads. 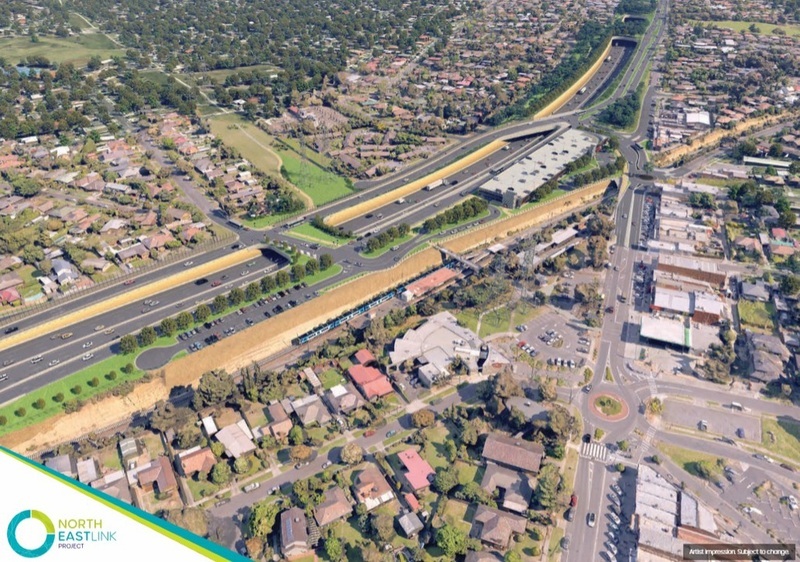 It will connect to the Metropolitan Ring Road at Greensborough with the Eastern Freeway at Bulleen. As part of the project, the Eastern Freeway will also be upgraded to streamline traffic flow and reduce congestion, as well as have a dedicated busway built along the Eastern Freeway. In March, Victoria shortlisted construction firms Laing O’Rourke and CPB to deliver A$200m ($142.26m) early works on the North East Link in Melbourne. After securing planning approvals, the first works package is scheduled to commence next year to provide power, water and other utility works to support the construction of the North East Link road project. Victoria Premier Daniel Andrews said that construction of such a large project through a highly developed urban area presents a range of potential impacts and challenges. “Housing acquisition has been kept to a minimum, with the number of homes needed reduced to less than 50. Suitable sites for relocation are being searched with local councils in consultation with firms. A North East Link site office will soon open in the industrial estate. Recently, Bulleen Business Liaison Group was established by the North East Link Project team. This group will work with businesses on specific issues and help them through planning and approvals process. The road project will generate around 10,300 jobs. Construction is expected to start in 2020 with a scheduled opening in 2027.